Our deepest sympathy to your family, Betty was a lovely lady that will be missed by many. Cherish your family and your memories. I was so sorry to read of Betty’s passing. She was a wonderfully caring woman. May treasured memories support you through this difficult time. Sympathy to Frank Milne and family. Memories of Betty’s cooking classes and I still keep her recipes. I was saddened to hear of Betty’s passing. She has been a special friend over the years. I have enjoyed doing volunteer work with her especially the most recent, Victoria’s Quilts Kemptville. We will dearly miss Betty’s cheerful smiles and help at our Victoria Quilts Kemptville sewing bees. Our thoughts are with you. 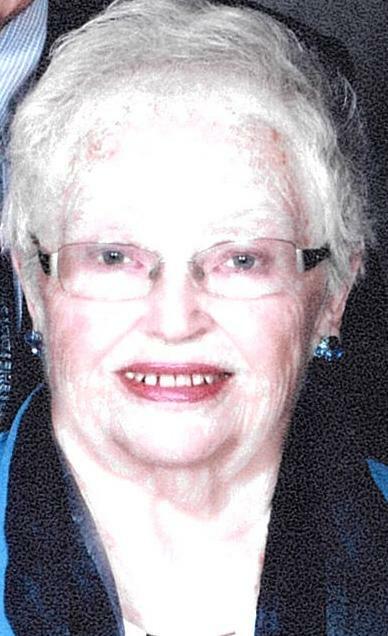 Betty was a dedicated volunteer to the Kemptville Branch of Victoria’s Quilts. Her cheerful helpfulness and smile brightened each of our quilting Bees. We are going to miss her. The Kemptville College Alumni Board express sympathy to you and your family. The ’55 classes also send their sympathy to you. Our thoughts and prayers are with you at this time. Frank, James, Martha, John & Families – So sorry to hear of Betty’s passing. Our thoughts and prayers go out to each of you at this very difficult time. I have nothing but fond memories of growing up next door to you guys. Teresa Workman (Simzer). The ladies of Victoria Quilts (Kemptville) Branch will dearly miss her delicious treats and warm smile. No ironing job was too much for her. I am glad that she shared some of her recipes with me, will always think of her as I am baking them. Our deepest sympathy to Frank and all the extended Milne family in the loss of Betty. Jack and I are saddened to learn of Betty’passing Our sincere condolences to Frank and family. I had the privilege of knowing Betty in the late ‘70s. when we lived in Halleville and attended Hallville United Church. I remember Betty’s cheerful laugh and her smile. She was very kind to a newcomer and enthusiastically, but gently, could get you involved. Her enthusiasm was inspiring. May she Rest In Peace. Uncle Frank, Martha, James, John and families, please know that while I cannot be there, I am thinking about all of you. When I think of Aunt Betty, I remember her wonderful laugh and smile, and how she always made me feel so welcome when I visited. She will be always missed and always loved. No matter how much distance separates us, we always feel the love of family. My sincere sympathies to all of you. VQ bees were made all the more enjoyable by Betty. She prepared the coffee and tea and always had some delicious goodies on hand. Then she spent the morning ironing everyone’s quilt pieces, and she always had time to chat. We shall miss her so much! Deepest sympathy to all Betty’s family. Next Shirley Bethea Fawcett R.N.